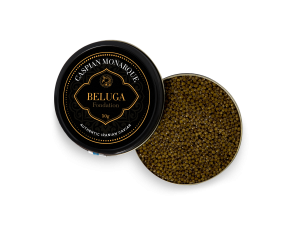 Bred from the noble Acipenser Stellatus (Sevruga sturgeon) nestled in the nutrient rich waters of the Caspian Sea, we use time-honored methods to process a roe that tips the boundaries of taste and texture, rendering a delightful blend of both youth and maturity. An eye-catchingly pleasing grain with a glistening grey hue, the taste of our Privé Sevruga is spirited, offering an upbeat fresh feel tempered by a tantalisingly rich after taste that lingers pleasantly on the tongue. 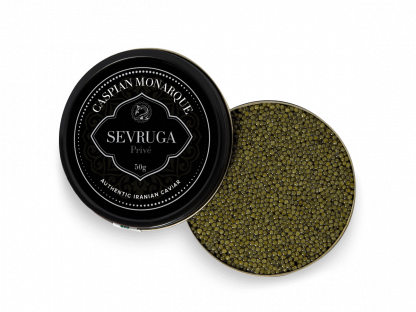 A distinct Persian character is present in our Privé Sevruga, with a flavor and aroma that bursts with quality. 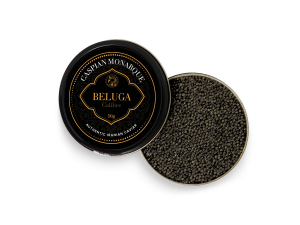 This particular caviar is yet another from our range that makes for the perfect introduction to caviar as a culinary concept. Typified by that oh so distinguishable aesthetic yet oozing with a very unique and personal charm, which one can only achieve with Caspian reared sturgeons.